Ready. Set. Authenticate. 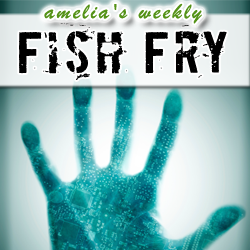 This week’s Fish Fry investigates how Microsemi FPGAs are changing the cyber-security landscape one PUF (Physically Unclonable Function) at a time. My guest is Tim Morin from Microsemi. Tim joins Fish Fry for the first time – discussing the zeros and ones of PUF technology, explaining why it’s so important to today’s IoT products, and revealing what it’s really like to own fourteen (whoa) horses. Also this week, I unveil some seriously cool news from the most recent Google Project Ara Developer’s Conference.